cast of Eto Na! Musikal nAPO! ‘Eto Na! 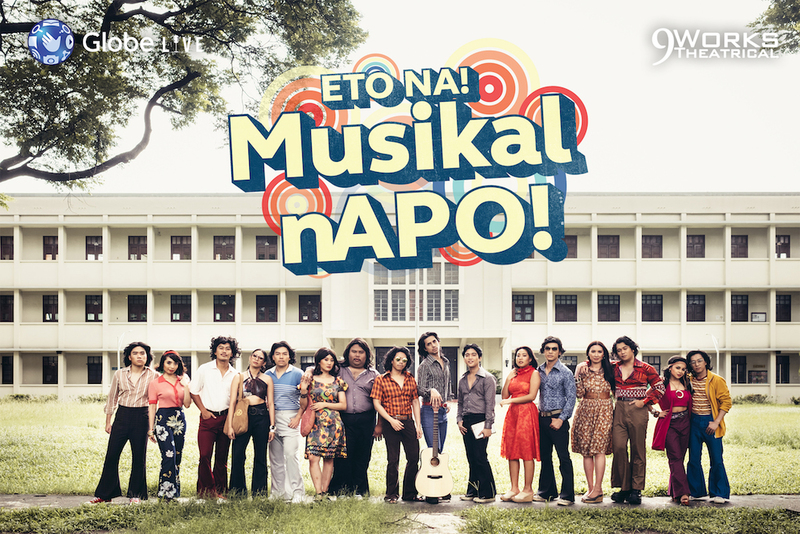 Musikal nAPO!’, the musical written by director Robbie Guevara based on the music of the iconic APO Hiking Society, is coming back for a rerun this February. The show initially ran last year from August 3 to 26, with an extended run until September 2, at the Maybank Performing Arts Theater. Cast members included Mark Bautista, Jon Philippe Go, Jobim Javier (son of APO’s Danny Javier), Alfritz Blanche, Jef Flores, Jon Abella, Vyen Villanueva, Rita Daniela, Marika Sasaki, Sab Jose, Raul Montesa, and Neomi Gonzales. Also part of the ensemble are Gian Gloria, Shalee Vicencio, Peachy Atilano-Guevara, Anton Posadas, Jourdan Bartolome, and Derrick Gozos. The same cast and creative team are coming back for the rerun. Joining Guevara in the creative department are Jonjon Martin (dramaturg), Dingdong Rosales (assistant director), Daniel Bartolome (musical director), PJ Rebullida (choreographer), Shakira Villa Symes (lightning designer), Joey Mendoza (set designer), Eric Pineda (costume designer), Dong Calingacion (technical director), Rards Corpus (sound designer), Myrene Santos (hair and makeup designer), Ronan Ferrer (vocal supervisor), and Cathy Azanza-Dy (stage coach). Set in a university in the 1970s, the musical tells the story of a college barkada who tries to win a songwriting competition. The story follows them through the intricacies of youth and romance during the Martial Law regime. 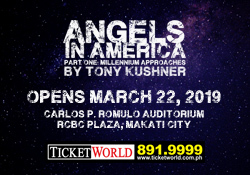 The show will run from February 2 until March 17 at the Maybank Performing Arts Theater.